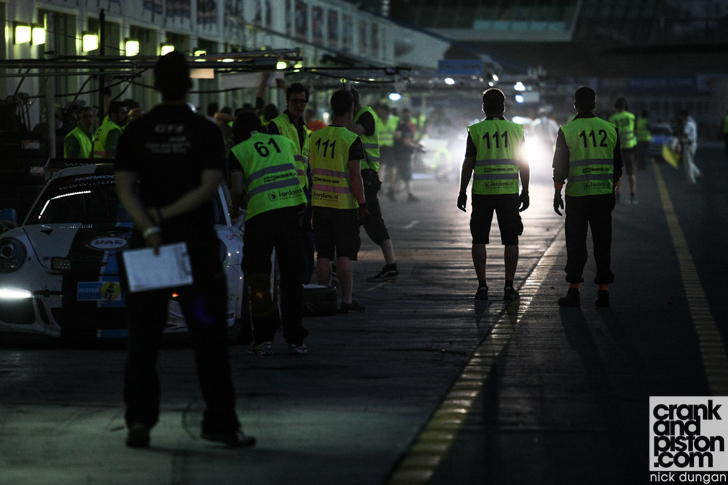 Behind the scenes – and on the night shift – at the 2015 Dubai 24 Hours. This year the Dubai 24 Hours celebrated its 10th anniversary, and while the Black Falcons eventually walked away with a record third victory in the endurance event (simultaneously cementing a third win for the Mercedes-Benz SLS GT3 in the process), life was as knackering as ever for the guys and girls in florescent vests behind the scenes. Particularly during the night hours when fatigue is high and there’s still well over half the race distance to run. Next Article BMW M4 Convertible vs Lexus RC F. New World Order?